Making a choice on what web hosting provider to choose from really depends on your needs, budget and want. There are two most popular types of web hosting and those are Windows hosting and Linux web hosting. Linux hosting had been around for many years and it was only in recent years that Windows Hosting was introduced. Slowly it is getting more and more people to make the switch. Linux Hosting is the most popular type of web hosting that utilizes the server software MySQL, PHP and many others. It uses the Linux open-source operating system thus the hosting provider can offer theirs for a low price. Since Linux is free, all the updates don’t require any additional fee for licensing. Linux Hosting can read scripts like Perl, PHP and other HTML scripts. It uses the MySQL and the PostgreSQL databases as well. The great advantage of going for Linux website hosting is that the disk space is unlimited. That’s great for serious website designers as they are not limited with the amount of disk space they can use for each site. Also, sites run fast. Windows hosting is using the Microsoft Windows Server. This hosting is powered by Microsoft so you know you are getting excellent service and ease of use. Windows is known to be a very easy to use operating system and it makes sense that the Windows Web Hosting is also quite easy to use. You don’t need to have the expert techniques of web designers just to design your own site. Windows Hosting makes it very easy for you to understand the procedure on how it’s done and you can work your way around it. A serious web designer knows the difference between Linux Hosting and Windows Hosting thus they know when one is better than the other. There’s really no comparison between the two as they both have their own field of specialties. As for Windows Hosting, it is the best hosting solution to choose when you are in need of MSSQL, .NET, MS Access, Plesk, Windows Media Streams, FrontPage, ASP and other applications from Microsoft. If you believe your website would work best with these applications then there’s no other choice but to use Windows Hosting. One great advantage of Windows Hosting is that it can also work with SSI, PHP and Perl. With this in mind it’s a great advantage to hosting resellers. This means that they can provide a wider option for their customers. They can use the technology that Linux can handle and they can also use the Microsoft based technologies. Windows Hosting can run in Windows 2003 and/or in Windows 2008. It depends on the hosting provider what they offer but it’s best to always get the updated version of Microsoft Windows. It is also important to note what are the features included in the Windows Hosting so you can get the best experience possible. It’s important to note whether it features the 3 versions of ASP.Net, AJAX, IIS7, Python, SSI, Perl, PHP and many others. Get a comparison between the hosting providers you are interested in and weigh out what you actually need, how much it costs and what may seem unnecessary for your own particular requirements. 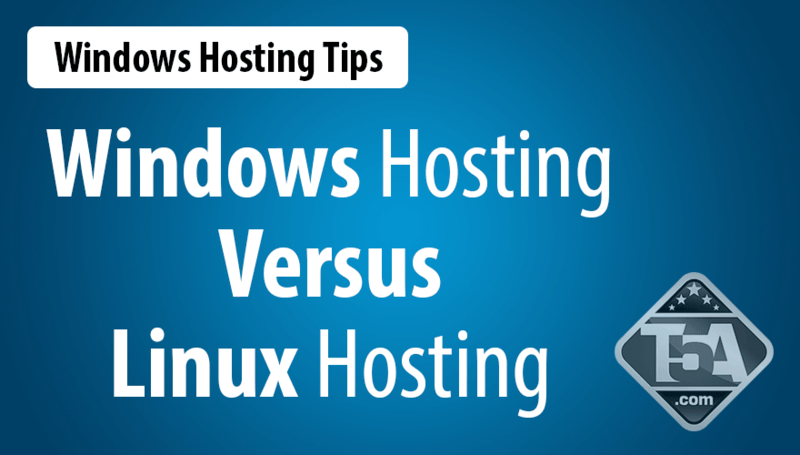 Windows Hosting vs Linux Hosting; Who is the Winner? There are no grand criteria that will really outweigh one type of hosting from the other as both are great. The choice really is based on what the web designer needs and choosing which is best is subjective. What could be great for one may not be what the other needs. Choose wisely. Read and learn about the hosting services and the hosting provider before making a choice. Don’t be deceived with pricing as some providers offer theirs for cheap but the services and features are limited that you’d end up paying more to add to the features. If you don’t need to use any of these programming platforms, then basic shared web hosting or VPS hosting will be the solution you are looking for. Linux-based hosting is usually cheaper than Windows hosting because of the licensing requirements to use the Windows OS whereas Linux is free for hosts to use and resell. If you do need MSSQL or other Windows-based platform, then be sure to see our Windows web hosting reviews to choose the best fit for your needs.